Planning a cruise vacation? 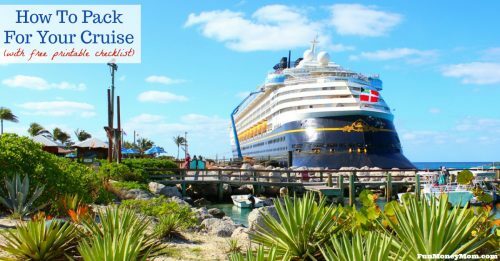 There may be a lot to choose from but there’s a reason why a Disney cruise vacation is consistently ranked at the top of every list. Disney goes above and beyond to make your experience magical. 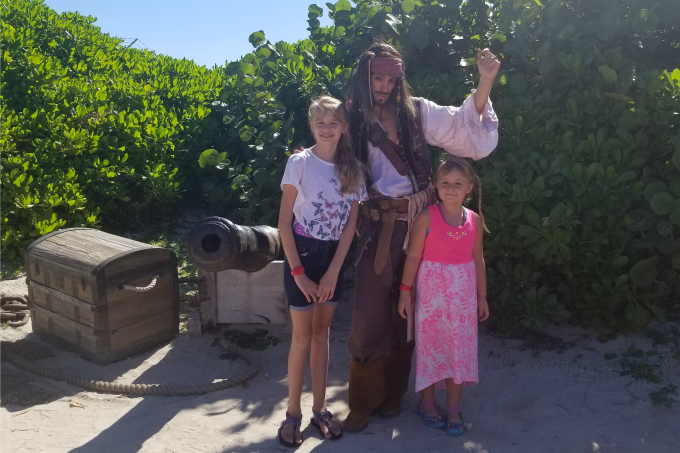 From little things like the art on the wall coming to life to the tropical paradise of their own private island, Castaway Cay, there are special things that you can only do on a Disney cruise that sets them apart from the rest. Thanks so much to Disney for hosting my family on the Disney Dream. All opinions expressed are 100% my own. My husband and I talked about taking a family cruise for a long time. We knew it would be a fun family vacation and had our hearts set on a Disney cruise. Since we’d been to Disney so many times, we knew it would be a special experience. There’s just something fun about being treated like visiting royalty as soon as you step onto the ship. As you board, your name is announced over a microphone and you’re greeted by a round of applause. 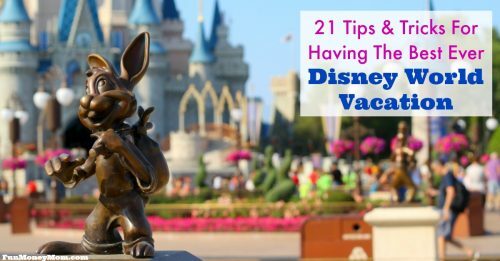 It’s a fun way to get your Disney cruise vacation off to a great start! Everywhere you turn, you’ll see your favorite Disney characters. Everybody who’s anybody is here! We saw Mickey and Minnie of course, but we also saw Goofy, Donald, Daisy, Pluto & Chip & Dale. 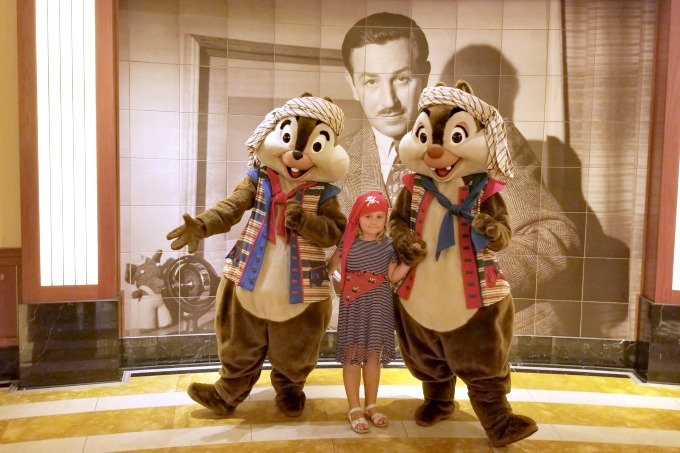 Keira was SO excited that she’d finally learned out how to tell Chip and Dale apart. Can you figure it out? That’s not even counting the princesses. We loved how short the lines were to meet Rapunzel, Belle and Cinderella! 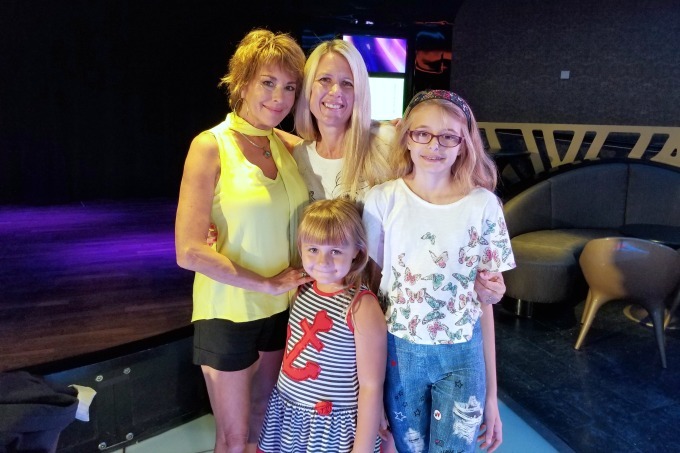 We were even treated to a very special bonus on this cruise (and I was more excited about it than anyone). The REAL Belle was here! Paige O’Hara, the voice of Belle in the original animated Beauty And The Beast, was on board to help celebrate the premier of the new Beauty And The Beast production. It’s my all time favorite princess movie and if you think your kids get excited about meeting Belle at Disney, you should have seen my excitement over meeting Paige (I guess we’re on a first name basis now). She couldn’t have been sweeter and meeting her in person was definitely one of the highlights of the trip. 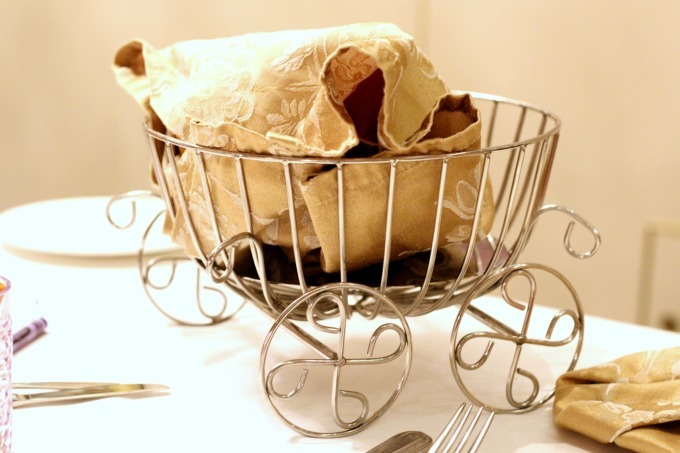 …and the breadbaskets look like royal coaches. 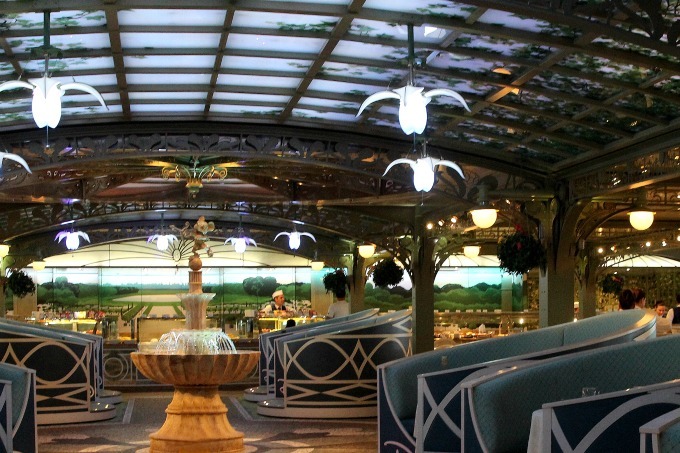 There’s also the Enchanted Garden, where the decor is beautiful and the ceiling changes from day to night as you enjoy your meal. Finally, there’s the Animator’s Palate. If you have kids, this will be their favorite restaurant by far. 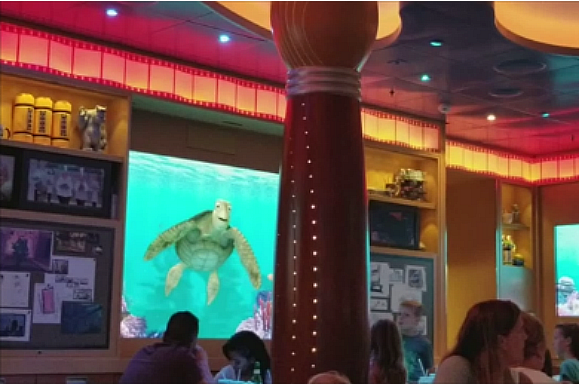 While you enjoy your dinner, animated fish swim by, stopping to form different shapes while the kids guess what it’s going to be. If you’re lucky enough, Crush the sea turtle may just come over and chat with the kids. It was so much fun watching my five year old try to have a conversation with him and was one of the many highlights of the evening! 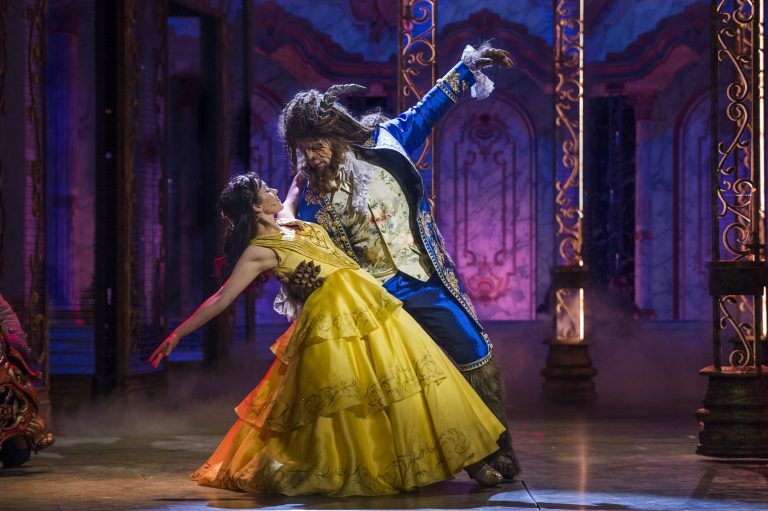 When you take a Disney cruise, you’ll be treated to the best Broadway style musicals every night. Even my husband was impressed with the new Beauty And The Beast Show on the Disney Dream. It was phenomenal and the set changes alone will amaze you! You’ll get a different show depending on which ship you’re sailing on. For example, if you cruise on the Disney Magic, you’ll see Tangled – The Musical. 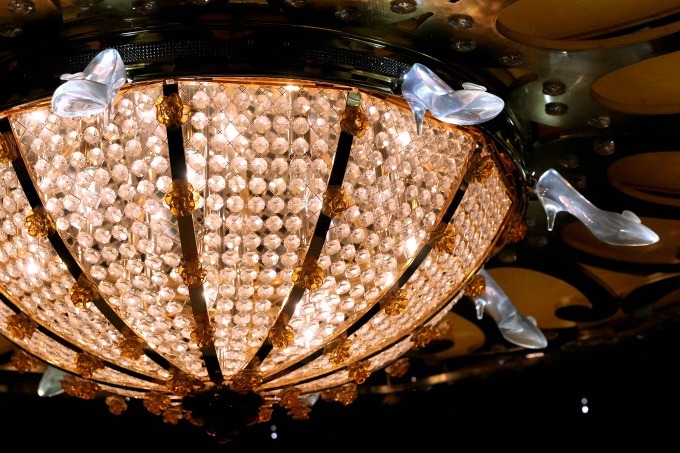 On the Disney Fantasy, your show will be Aladdin – A Musical Spectacular. You really can’t go wrong! While other cruise lines may show movies, Disney cruises show first run movies. When we were on our cruise, Thor Ragnarok had just been released and was being shown on the cruise as well. Personally, I’d rather do all the things I wouldn’t be able to do back home but if you’re into movies, this is a great perk. That being said, if I were on board when the new Star Wars movie comes out, I’d parked in one of those seats with a big bucket of popcorn! 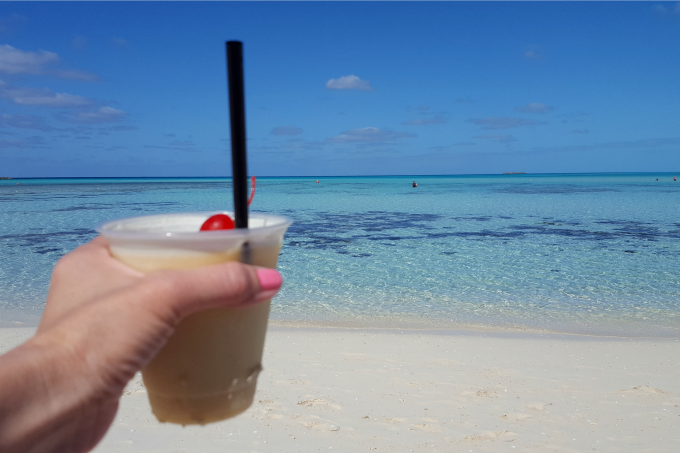 While there are so many things to love about a Disney Cruise, Castaway Cay is by far my favorite! It’s Disney’s private island in the Caribbean, a tropical paradise that I just can’t get enough of! If you’re with the kids, you’ll hang out on the family beach, where there’s waterslides, snorkling, biking and more. BBQ lunch at Cookies is included, as is the unlimited soft serve ice cream, Ashling and Keira’s favorite part of the day! We also saw Donald, Goofy, Captain Jack Sparrow and other characters hanging out on the island. If you’re cruising without kids, you’ll want to head straight to Serenity Bay, the adults only beach. 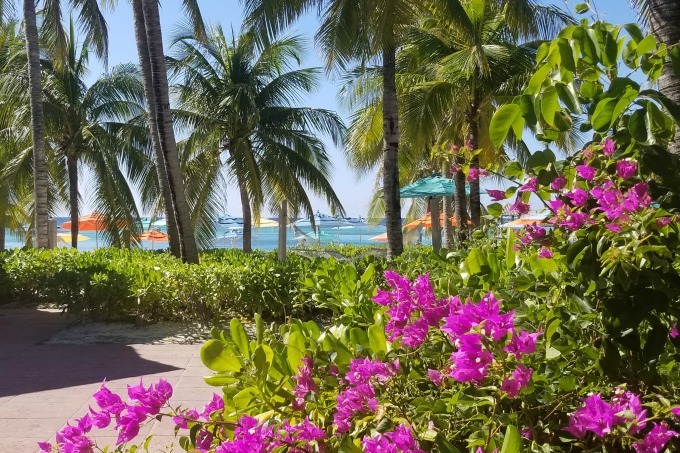 Relax with a massage in one of the cabanas or just sit on the beach enjoying drinks and lunch. I’ve experienced both and they are about as opposite as you would guess. 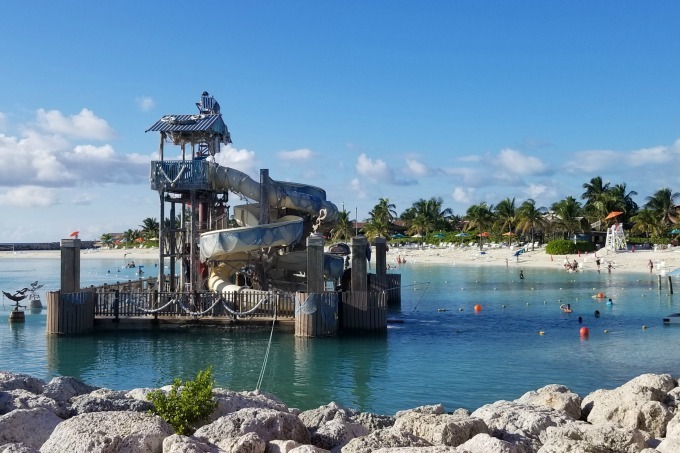 The family beach was fun and exciting with lots going on while Serenity Bay was relaxing, quiet and…did I mention relaxing? The thing they both have in common is that you couldn’t find more gorgeous surroundings and I’d gladly be stranded on Castaway Cay forever! 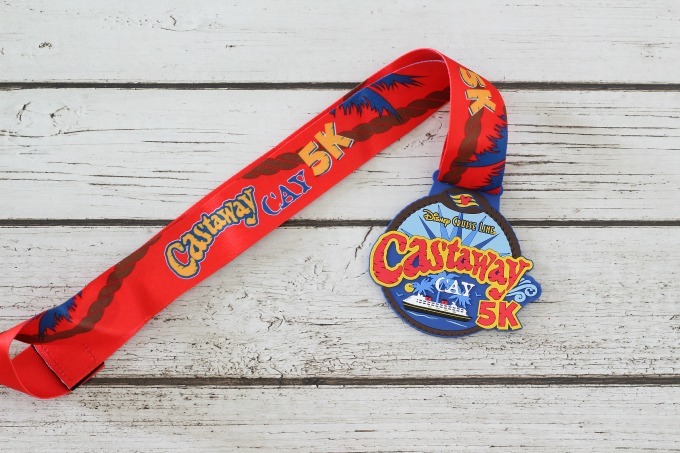 There’s a 5K run the morning that your ship lands at Castaway Cay. You don’t have to be serious about running to participate. You can run, walk, skip or even hop to the finish line and the kids have as much fun, if not more, than the adults. You’ll even get a cool “medal” to prove you actually did it. The bonus is that if you’re participating, you’ll be one of the first to leave the ship in the morning. If you have the kids and they’re too young to join you, there’s also a kids club on Castaway Cay where they can have fun until you return. When we were on the Disney Dream, we thought the Aqua Duck was the greatest thing ever! 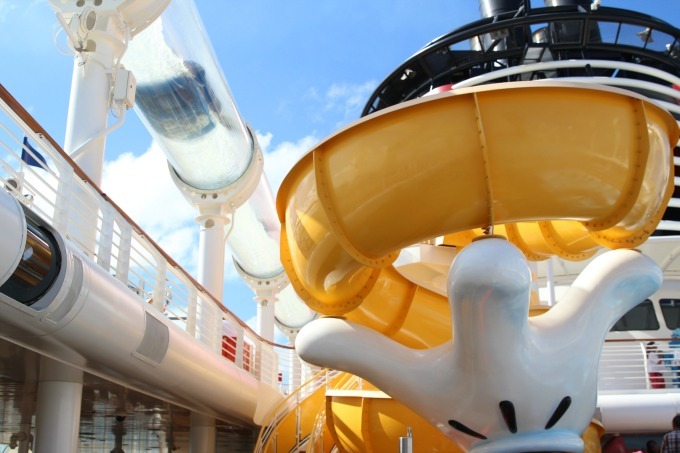 Developed by Disney imagineers, it’s made up of 765 feet of tubes that wind around the entire top of the ship. We got some great views, especially for those few seconds where the slide curves over the side of the ship (it’s not scary though…I promise)! It was seriously fun and my girls could have done it all day long! Don’t just take my word for it. I was excited to test out my new GoPro and this was the perfect opportunity! 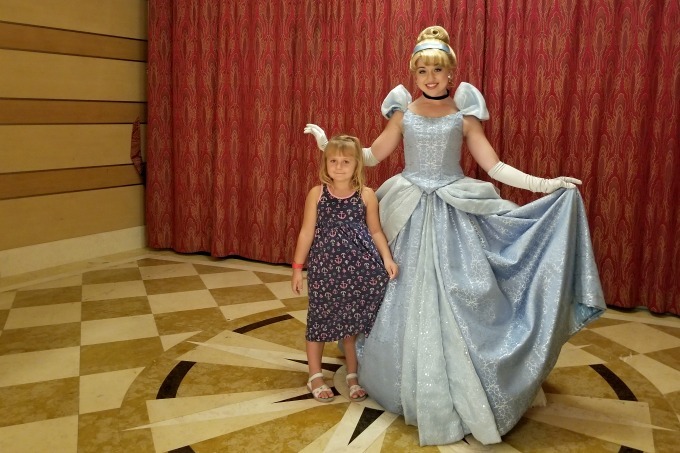 Cruising on the Disney Magic? They have a very similar waterslide called the AquaDunk. What other ship offers Pirate Night? It’s an entire celebration of all things pirate! Cruisers start by dressing in their favorite pirate gear and practicing their arrgh’s. Disney cast members will leave a pirate bandanna for you to wear but plenty of people bring their own costumes from home, including us! 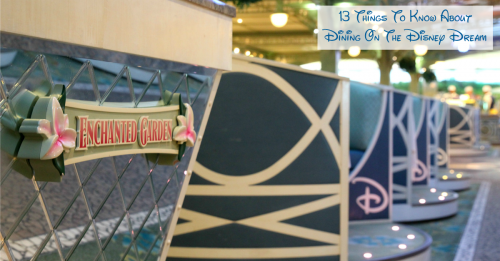 At dinner, there’s a special pirate inspired menu with items such as Davey Jones Locker Lump Crab Cake and the Rusty Anchor non-alcoholic cocktail. 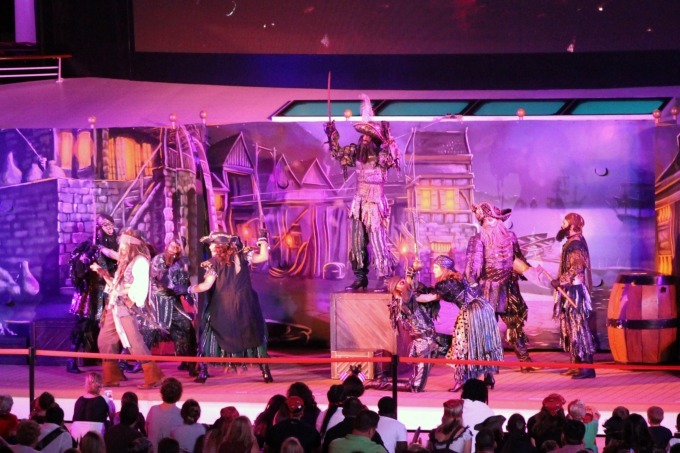 Later you’ll want to head to the upper decks to catch the fun-filled pirate show starring none other than Captain Jack Sparrow. You’ll want to get there a little early to get a good spot. Don’t leave after the pirate show because the fun’s not over. 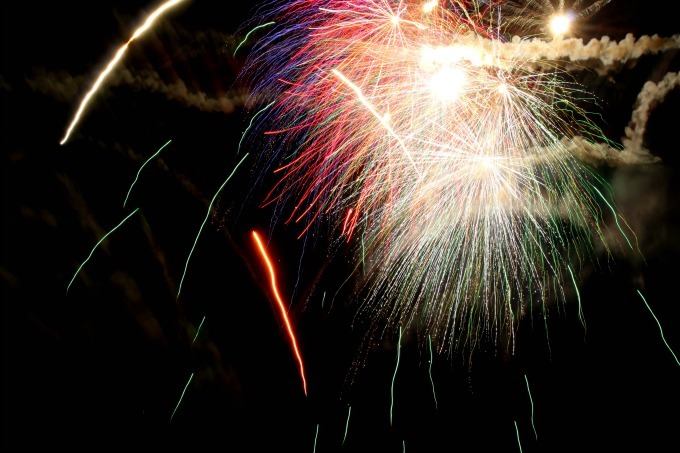 Stay outside and enjoy a spectacular fireworks show. 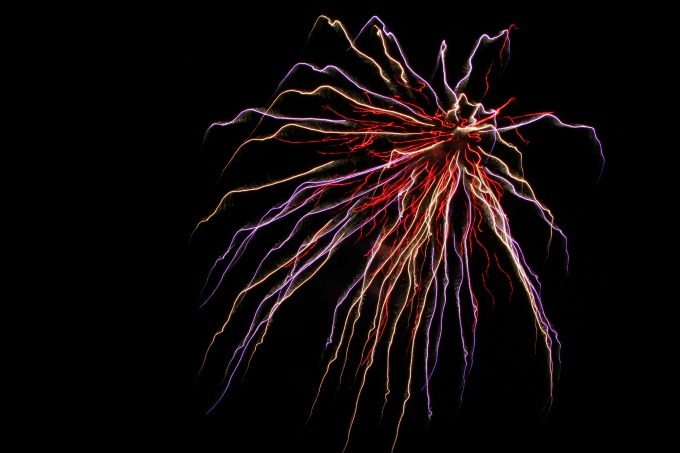 If you’ve never seen fireworks over the ocean, this is something you won’t want to miss. I’m still working on my fireworks photography (not a lot of opportunity to practice) but this is a shot of what accidentally happens when you play around with your settings during the show. Guess I have a great excuse to go on another Disney cruise…I need more fireworks photography practice! Kids 3-12 can enjoy the Oceaneer Club, where they can play in several themed areas. They can hang out in Andy’s room, where the Toy Story characters looked like they’d come to life any minute. There was also the Infinity Game Room and Pixie Hollow, which my girls also really liked. However, the Star Wars Millennium Falcon was the biggest hit. 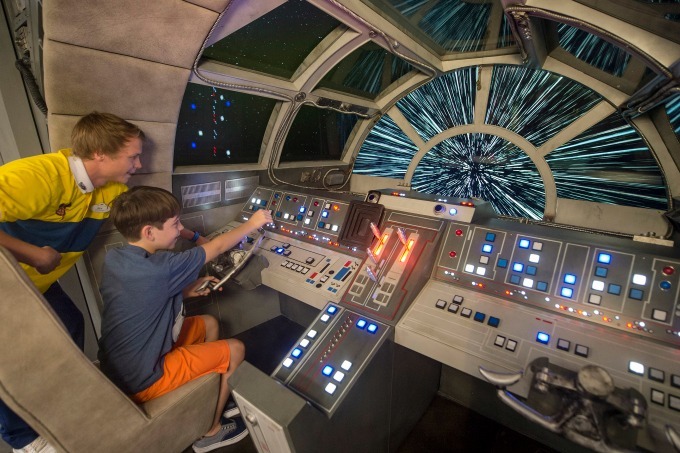 Kids can train like a jedi, pretend to fly the Millennium Falcon or design a starship. They can even do regular arts and crafts if that’s what they like. We didn’t use the Oceaneer Club nearly as much as we expected, just because there were so many fun things what we wanted to do together. 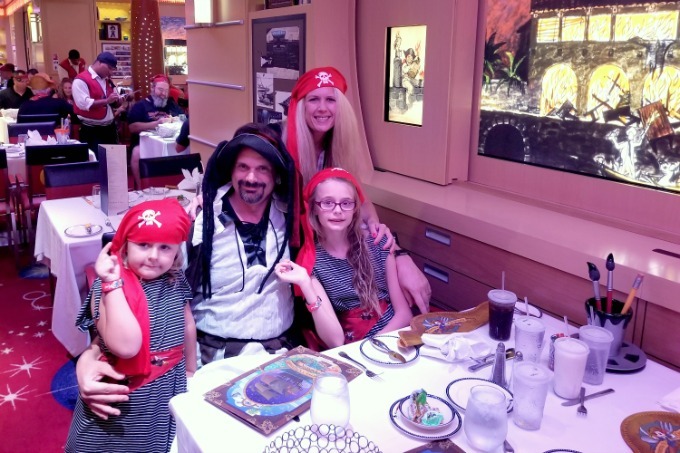 However, after they spent a couple hours there on the last night of our cruise, my girls made it very clear that next time, they want to go more often. Fine with me…hubby and I will be happy to grab drinks at one of the nightclubs on board! Leave it to my five year old to discover the magical artwork. I walked by this picture several times without noticing it but the first time Keira saw it, she walked right up, touched it and the picture came to life. On a Disney cruise, even the pictures on the wall are animated…Disney magic is everywhere you turn. 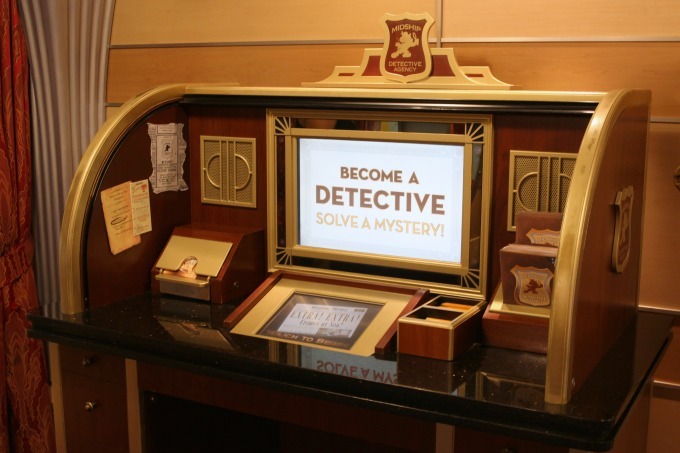 On the Disney Dream and Fantasy cruises, kids can visit the Midship Detective Agency. They’ll get instructions, a badge and a casebook to solve a whodunit mystery. The mystery takes kids all over the ship but the game can be paused and resumed later if you run out of time. We really wanted to try this out but with all the other fun activities, we didn’t get a chance. I guess now we have yet another excuse to come back! There are so many other things we loved about our vacation but the things you can only do on a Disney cruise make it unlike any other. It truly was a magical experience and my family has made some wonderful memories that will last a lifetime! Would you say this is appropriate for tweens? Toying with taking my stepdaughter on a Disney Cruise. I just worry she may be too old for the themes. I’ve just heard so much positive, I’d like to learn more.